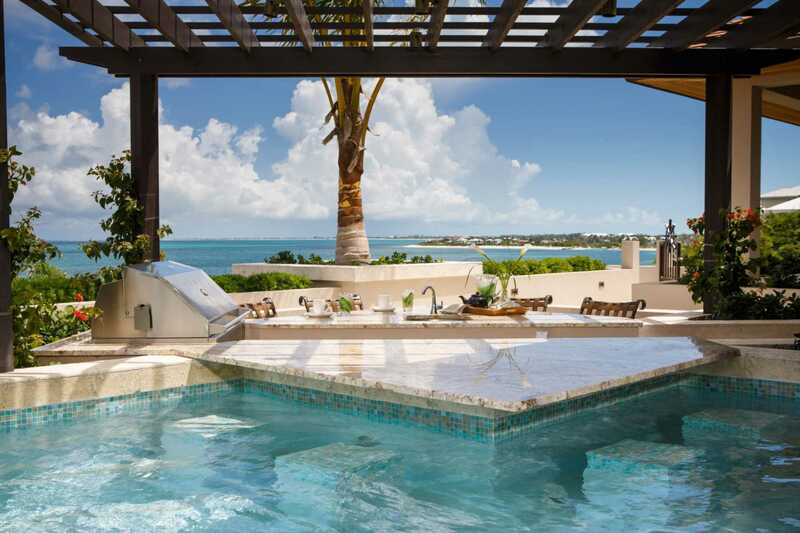 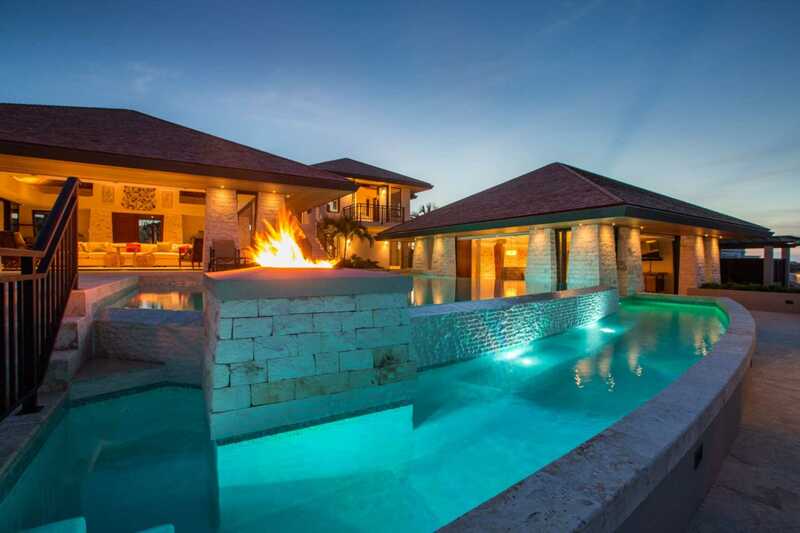 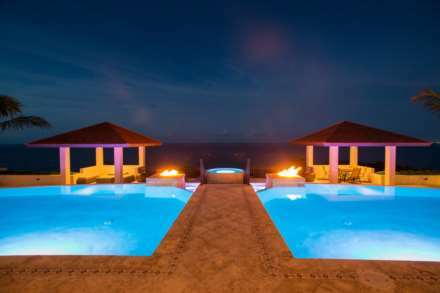 Samsara is a brand new luxury retreat which replicates a luxury resort onto an intimate scale for guests to enjoy Caicos paradise in privacy. 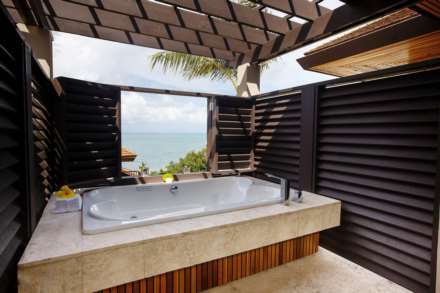 The pavilions and guest suites surround a cascade of swimming pools and opulent facilities, designed to provide tranquility for each guest whilst allowing the pleasure of collective experiences. 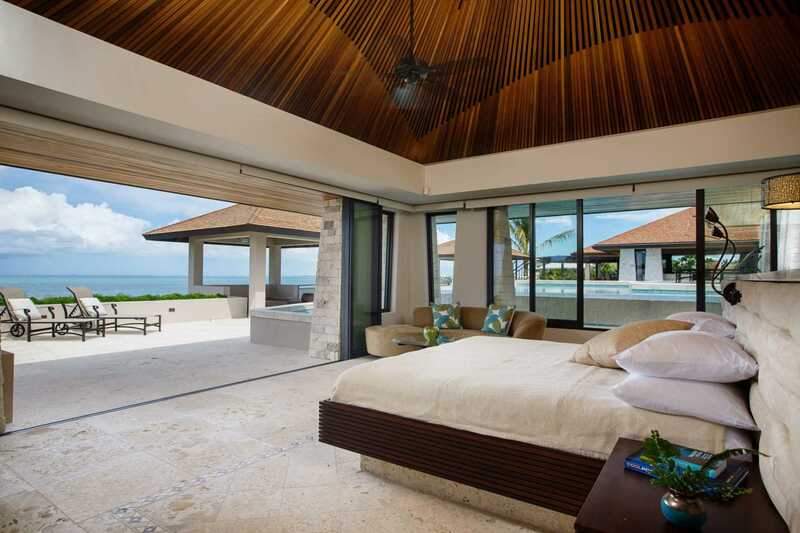 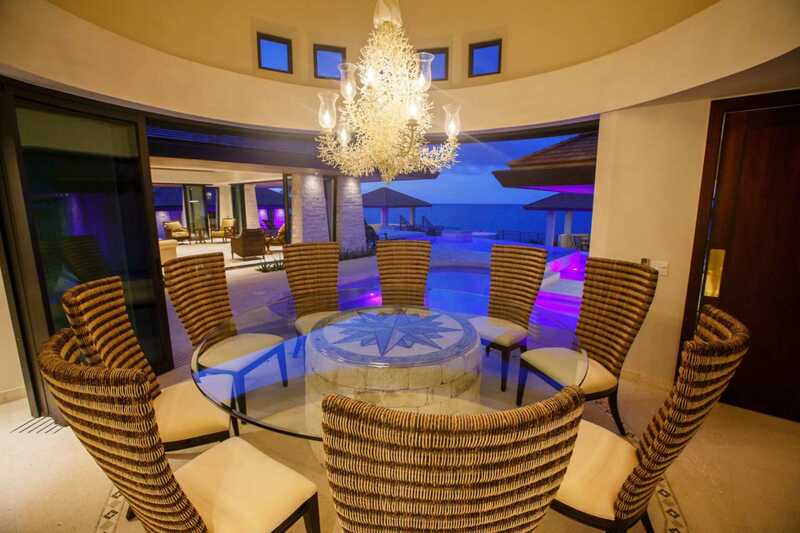 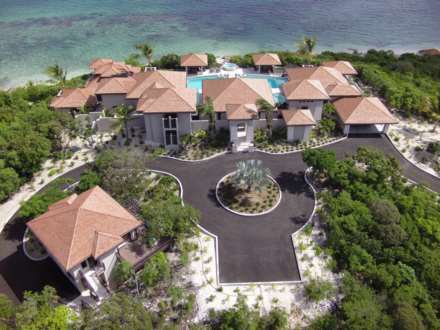 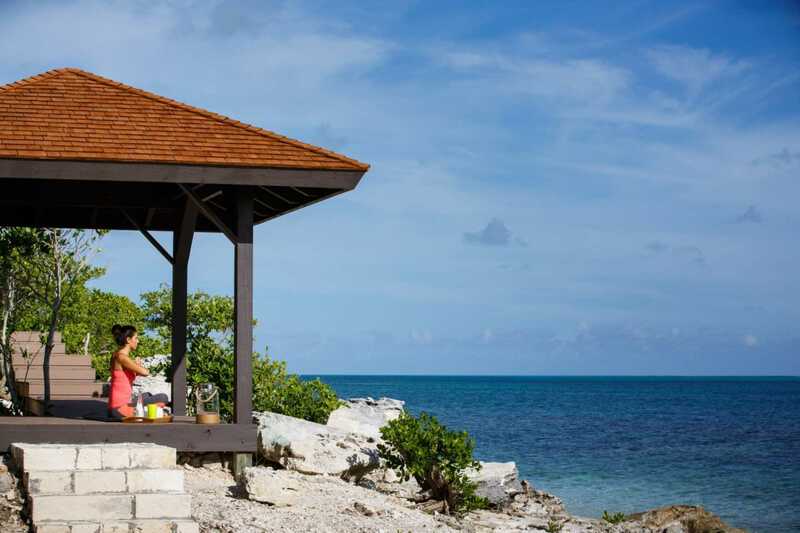 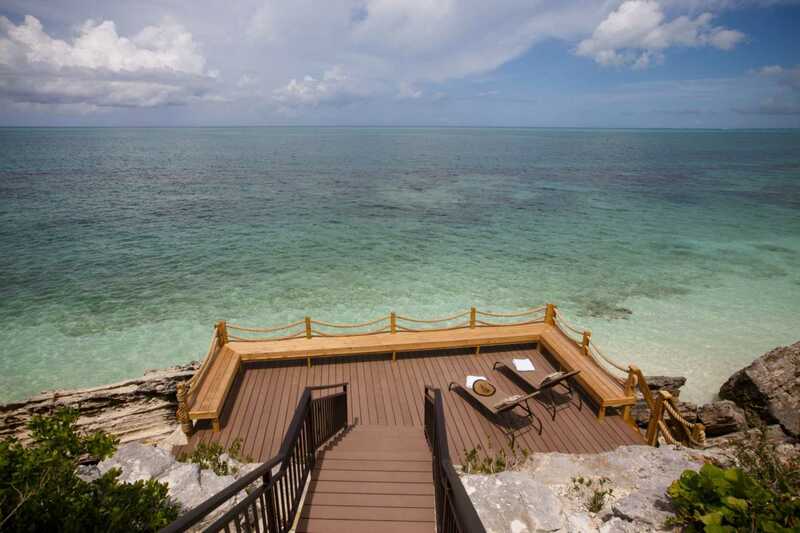 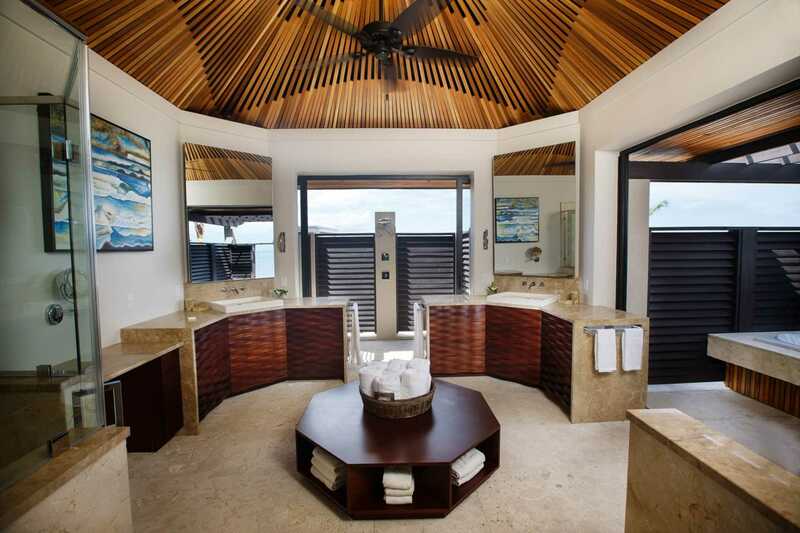 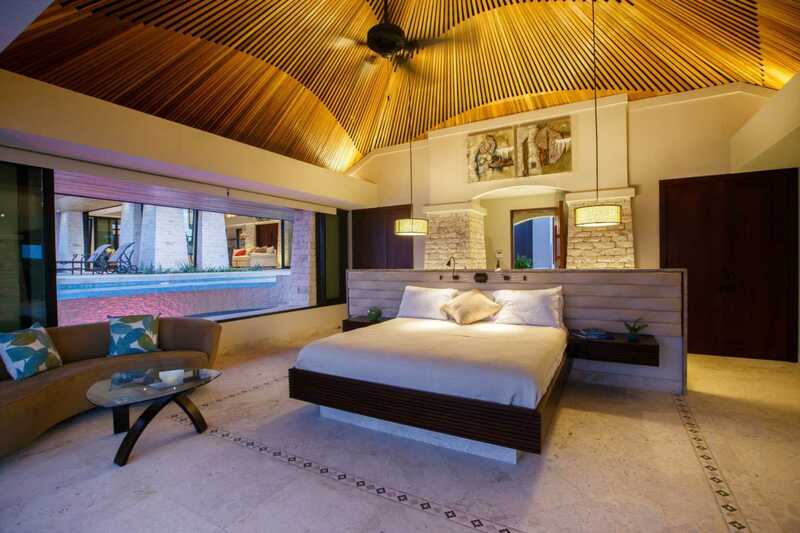 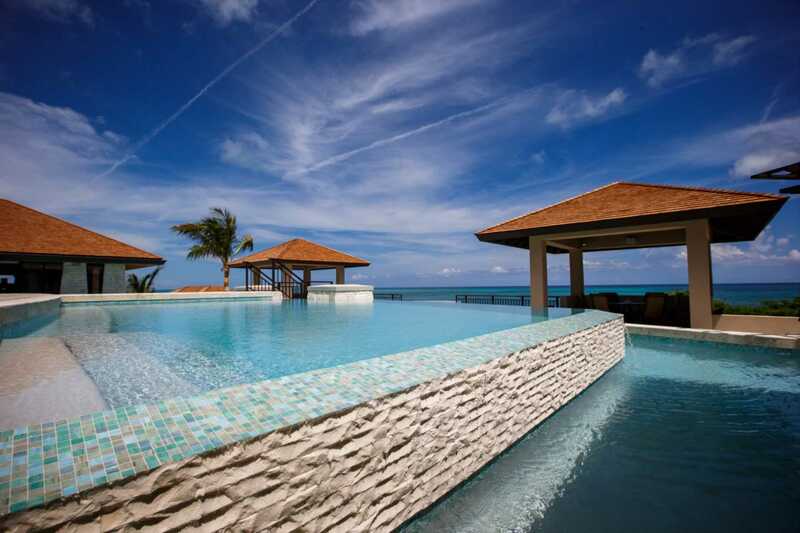 The property is edged by soft white sands, clear turquoise waters and pristine coral heads. 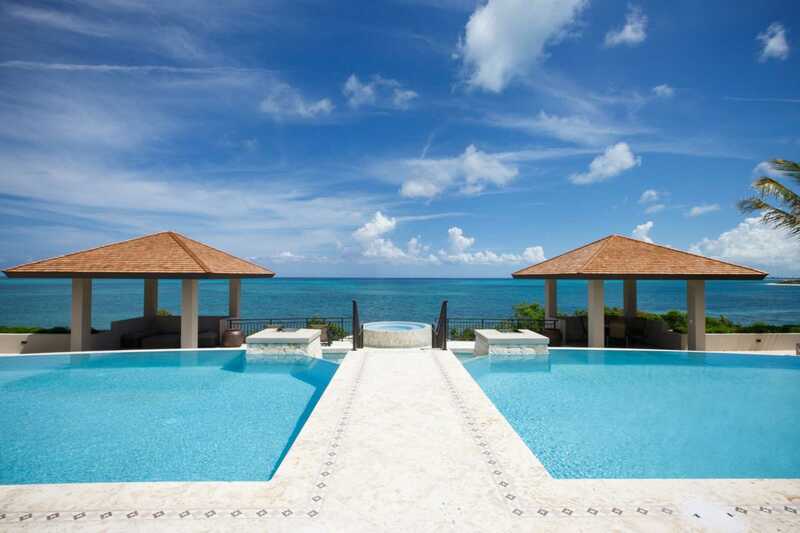 Guests can enjoy the 180° view, sunrise to sunset, while dining, swimming or enjoying a cocktail at the swim-up bar. 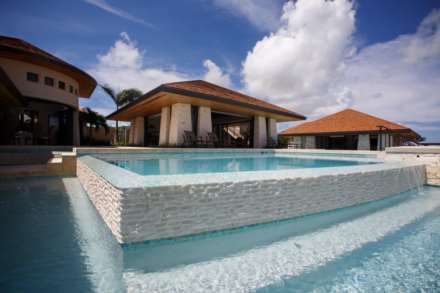 The villa accommodates 20 with the option to rent an additional guest house. 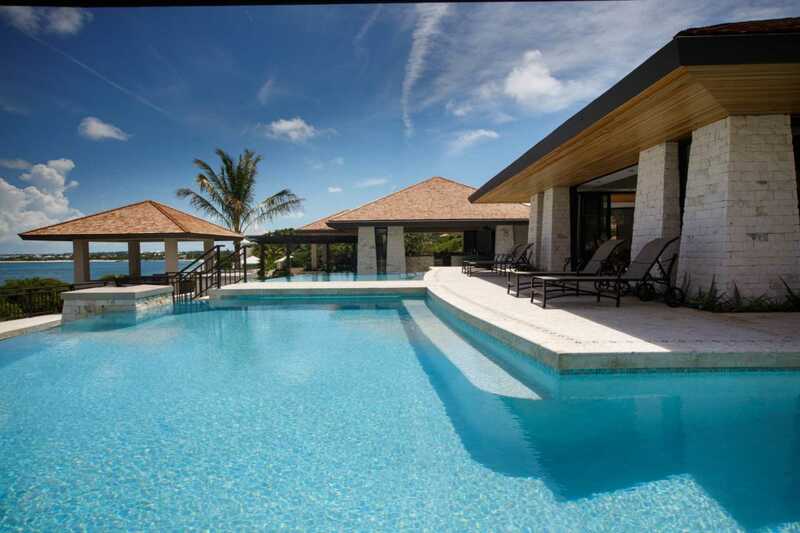 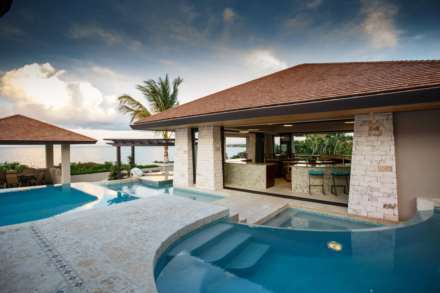 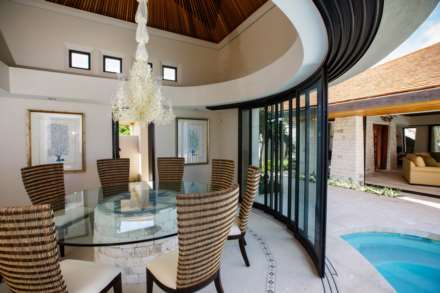 Visitors enjoy privacy and a diverse set of exclusive facilities as the villa covers 3.5 acres on the ocean side of International Drive. 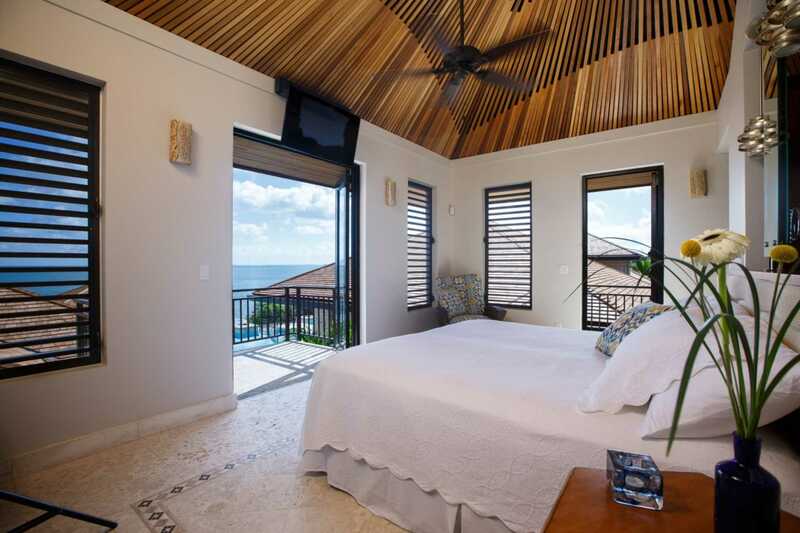 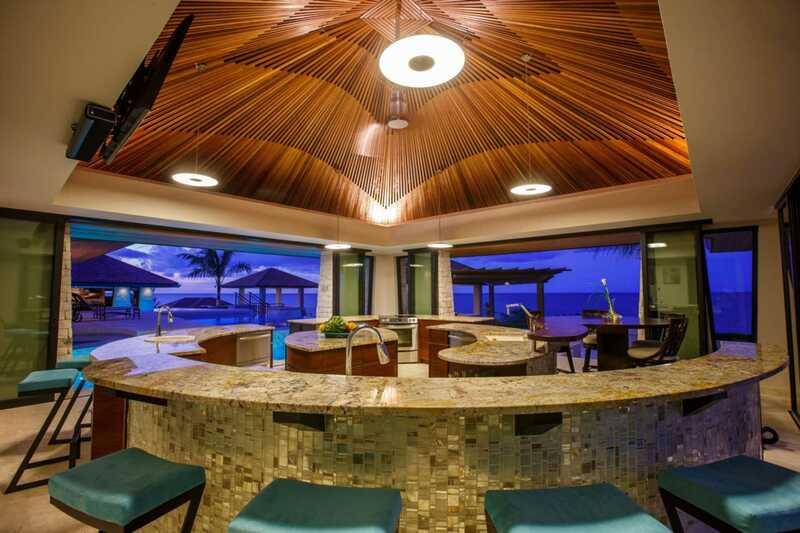 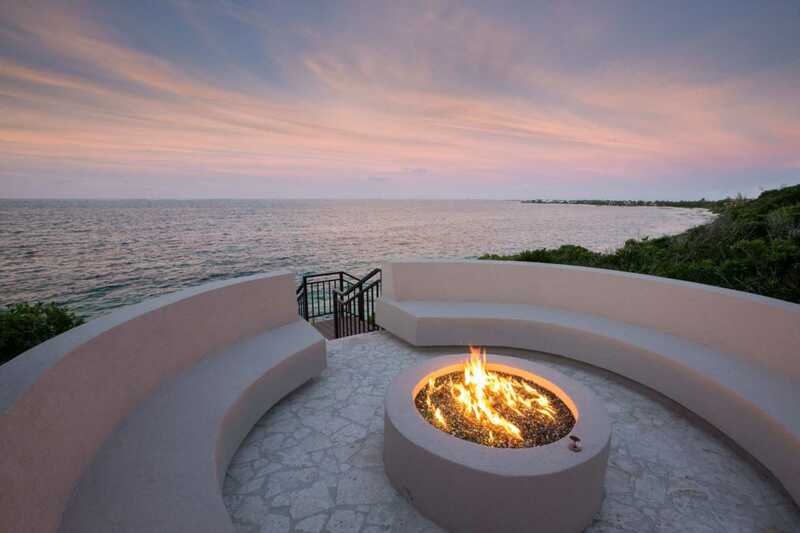 These include a 650ft beach, sea shore pavilions, sun deck, fire pit area, tennis court and large open-air jacuzzi overlooking the reefs of the Princess Alexandra National Park. 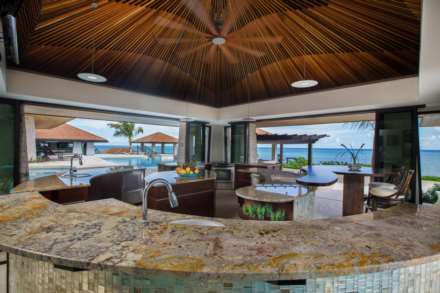 The villa has an elevated position above the beach enhancing the spectacular views from one end of the island to the other. 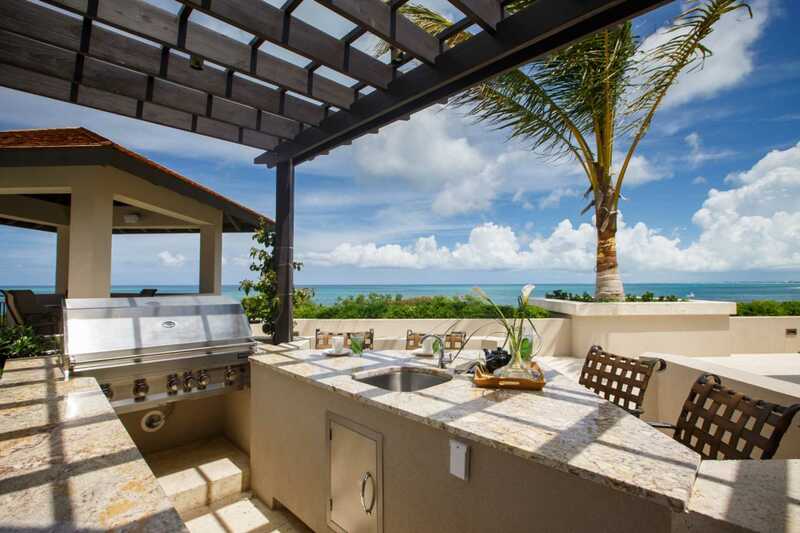 Samsara living is about welcoming in the Caribbean sunshine and cooling trade winds by creating a seamless indoor-outdoor living environment. The essence of the experience is to enjoy the warmth of Samsara as a home, a place to relax, enjoy family moments and create lasting memories. 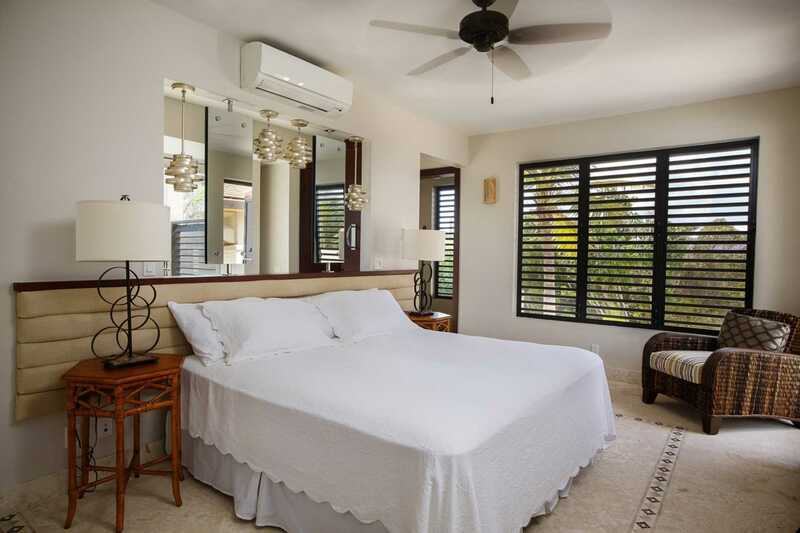 The four guest suits are quietly lavish with either views of the ocean or the landscaped gardens where guests can be lulled to sleep by the soothing sounds of the sea. At the heart of each suite is a central king sized bed joined by comfy seating, entertainment unit with Smart TV and Apple TV enabled. Each suite is individually air-conditioned. Up to 12 children can enjoy the Samsara bunkhouse; split equally between girls (mermaids) and boys (pirates) accommodation with communal living spaces in door and out. 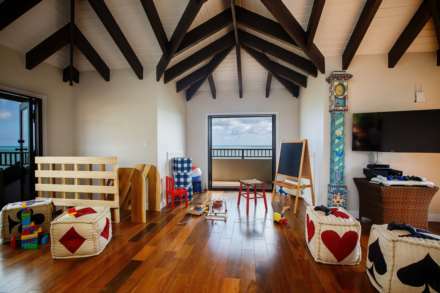 Each bedroom has double showers, double basins, toilet facilities and separate access to the bunkhouse `loft` living room. The `loft` has comfy seating, four balconies for views and the breeze, Smart TV, games consoles and a range of DVD`s and games. 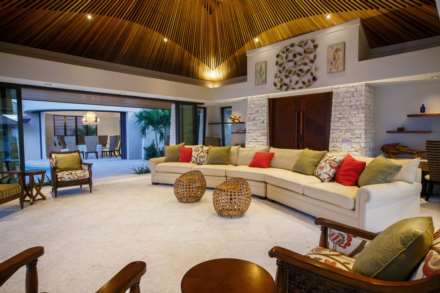 Additionally to this inside living space is an outdoor lounge with sofas and an outdoor television where children can meet, socialise and enjoy playing on the fireman`s pole between the two living areas.